The Sandown Mile, now referred to as the Bet365 Mile, is a Group 2 race held at Sandown Park in late April for horses aged four years and older. Run over a mile, this sprint race was won by Penitent last year, and boasts a strong field of seven. 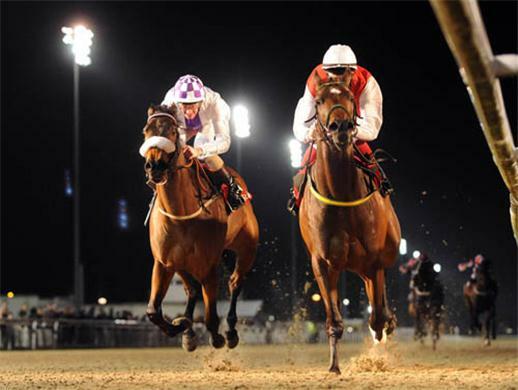 With a race purse of GBP 80,000, this race provides a strong incentive for trainers and horses. Leading the favourites for this year’s renewal are Farraaj and Trumpet Mayor, followed closely by Highland Knight. The best place to have a bet on the 2013 Bet365 Mile is with Bet365.com. The odds below were taken from the site, and you will be able to find the latest race odds there as well. Bet365.com is each-way betting on the race, with which you will be paid out at 1/4 if your selection finishes in the first two positions. Richard Hannon will be looking to seal his seventh victory in the Bet365 Mile since 2004, with Trumpet Major and Libranno in the starting gates in Friday’s race. He had won the race four times on the trot until last year, and he will be looking to reclaim that title again this time out. ‘We hope the rain stays away as Trumpet Major wants decent ground. He started off last year in the Craven, which he won by five lengths, and then he ran a super race to finish close up fourth in the Guineas,’ the trainer said. As mentioned above, the best place to have a bet on the Bet365 Mile is with Bet365.com. As the title sponsor for the race, they will be offering the best odds on the race, right up until the start of the race. When visiting Bet365.com, click on ‘Horse Racing’ in the left sidebar and scroll down to the Antepost section of the page, where you will find the markets for this race and many more. The Bet365 Mile is a Group 2 horse race open to horses aged four years and older run at Sandown Park in Esher, England. It is run over one mile and has a purse of GBP 80,000. Initially run in 1985 as the Sandown Mile, the race is staged during a two-day meeting which features both flat and jump races. Check out the race’s wiki page for more information on the race.